Note: While this review doesn't include any of the major details, it is quite detailed in places so please read at your discretion. Apologies for this being later than planned.....again. 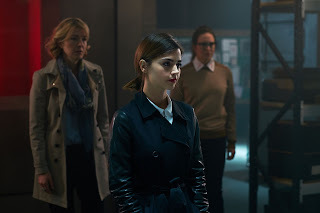 Peter Harness is having a pretty rough time with Doctor Who, between Kill The Moon being widely hated and The Zygon Invasion being heavily criticised by viewers, which I personally found a little boring and had some major suspension of disbelief issues, such as the top-secret heavily-trained soldiers following the Zygon's into the church and The Doctor calling Clara over 100 times instead of just tracking her down. Fortunately, the concluding part of the epic Zygon story provides a far better half. And Steven Moffat has a co-writer credit! Coincidence? I think not! 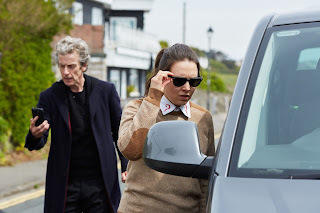 Oddly enough, this episode didn't have a Next Time trailer, something that almost never happens in Doctor Who, despite the spoilers being in no way major enough to warrant the absence, especially when there's a perfectly good 20-second TV trailer. Unfortunately though, there's not actually that much to discuss without spoiling things. This episode takes the horror from the previous episode and amplifies it. 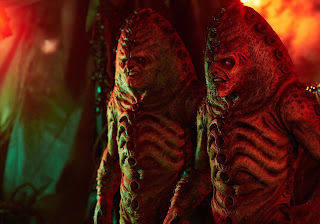 We have a great opening scene of some good old psychological horror, which is nothing new to Doctor Who (think Forest of the Dead), and learn even more about how the Zygons work (even if it raises a few questions!). But that's nothing compared to the, quite frankly, beautiful body horror that we also see and really must be commended. 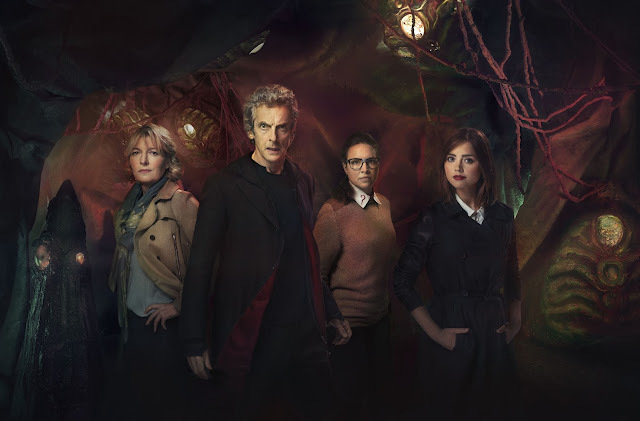 The very divisive political commentary of Zygons being Muslim (and Bonnie & Co. being ISIS) are once again present but many will be happy to hear that, aside from one main scene showing how it feels to be an immigrant in the middle of an unwelcome neighbourhood, they're practically non-existent. The Osgood box is also very well done and I love the design being taken from The Moment, with the story drawing from it. Unfortunately, this episode is yet another example of plot threads being left hanging (albeit, some created in the previous episode) that are left unanswered at the end. And as before, it does provide one or two moments that don't feel very well thought through. On the character front, we have a by far more impressive story. You may hate on Clara, but Jenna Coleman has absolutely out-done herself with her portrayal of Clara and her evil Zygon duplicate, Bonnie. It's amazing just how clearly you can tell the two apart, even when they're in the same room! Sadly, while Bonnie has more depth than expected, the motives behind her don't make much sense. But as great as that was, it was smashed to pieces by Peter Capaldi in the episode's pivotal scene that lasts ten minutes! I honestly can't clearly recall a scene that lasted so long in such a small unmoving space. Normally, I'd have probably been bored with a single scene that long (I get bored easily!) but Capaldi kept me gripped (and I love the slight accent he uses during it). This scene will be talked about for years! Lets just hope it's not all down-hill from here but if he can do the same level in his one-hander, I think it'd be fantastic. Jemma Redgrave, as Kate Stewart, and Ingrid Oliver as Osgood, are both on fine form and have an adequate amount of content to sink her teeth into. Although on the note of fronts, strangely, Rebecca Front's character seems to have entirely disappeared, not even getting a mention or a reference.